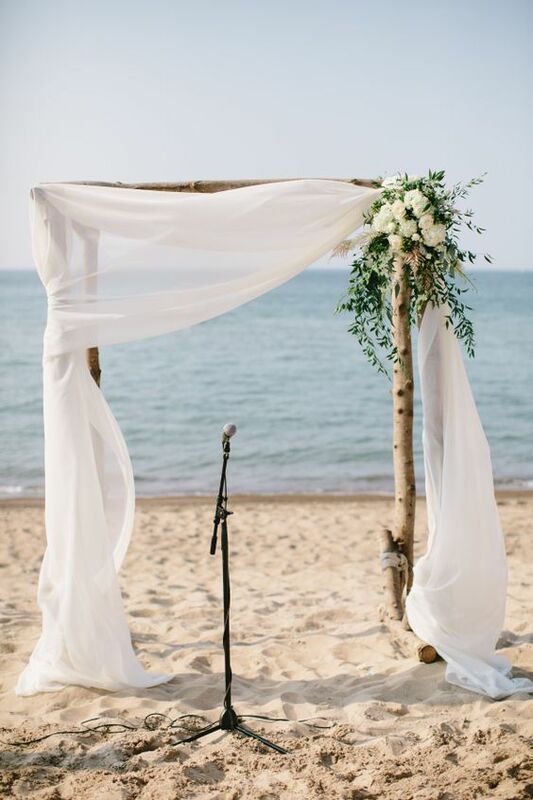 Going for a beach ceremony? 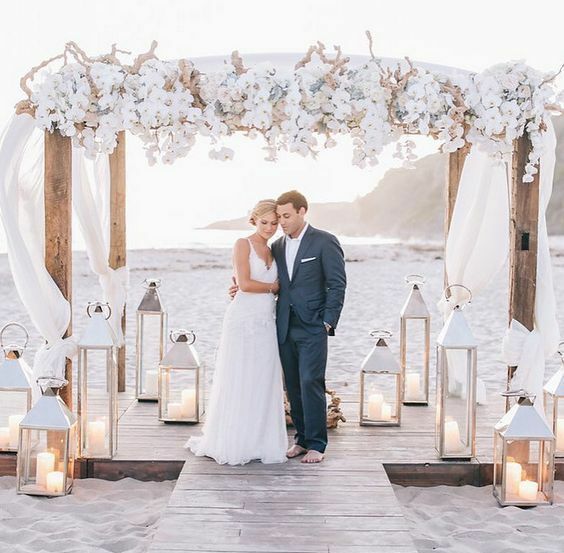 Yes, the ocean or the sea are among the best wedding backdrops ever – what can be more romantic than that? 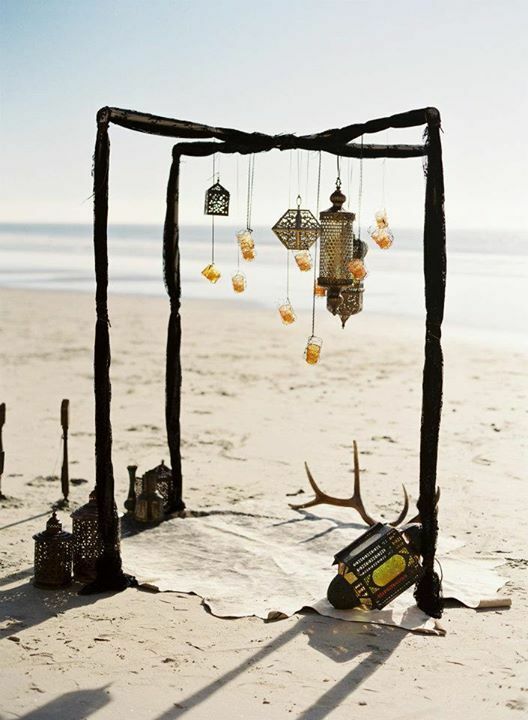 But still some decor is required to make your ceremony more special. 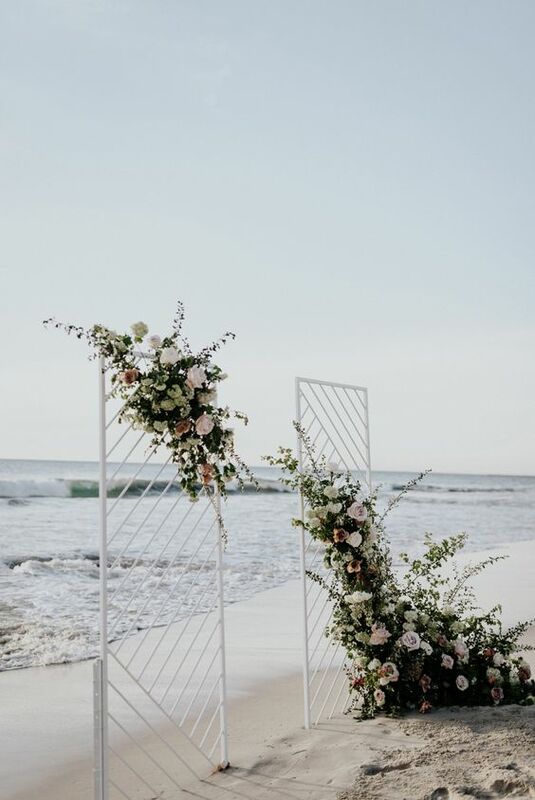 A proper arch, altar or backdrop will accent the space and will make your wedding shots amazing – choose a piece that fits your wedding style and color. 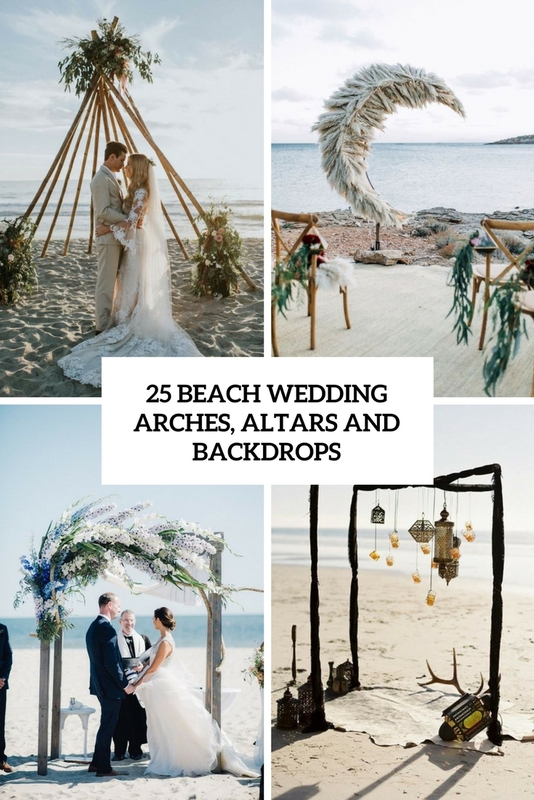 Let’s have a look at the most awesome and chic beach wedding arches and backdrops that can be recreated on beaches and maybe you’ll find the best idea for your own wedding. 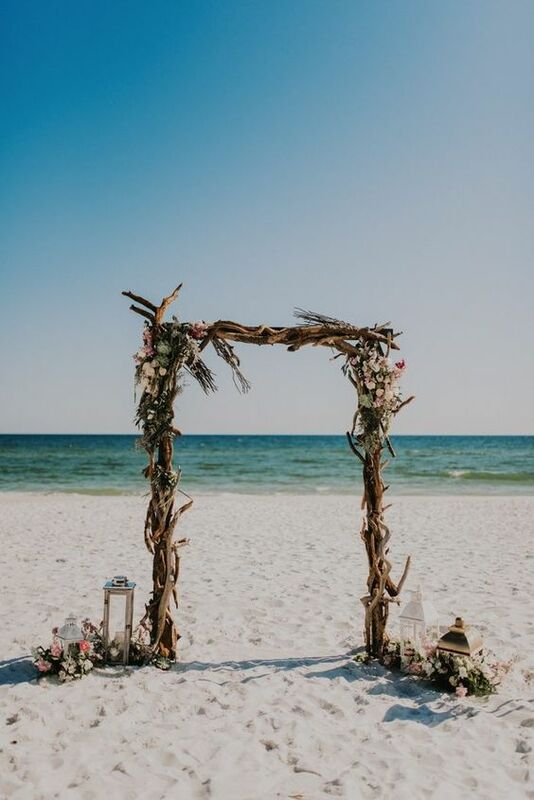 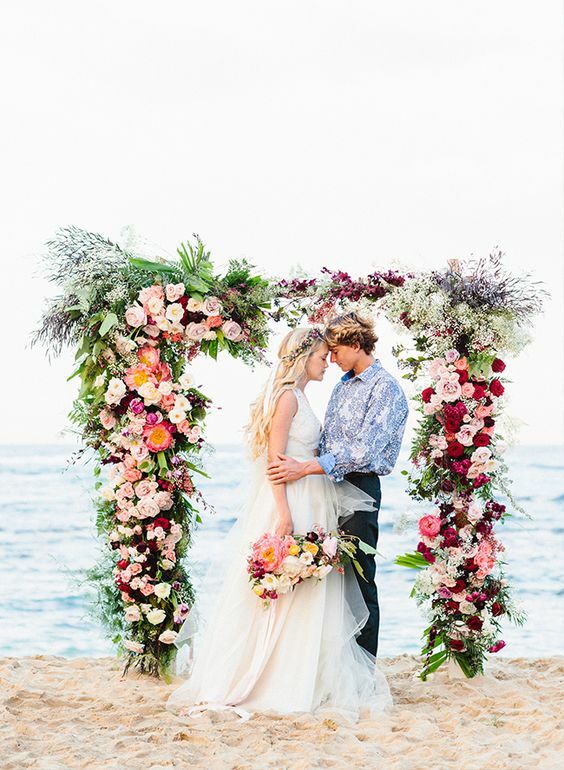 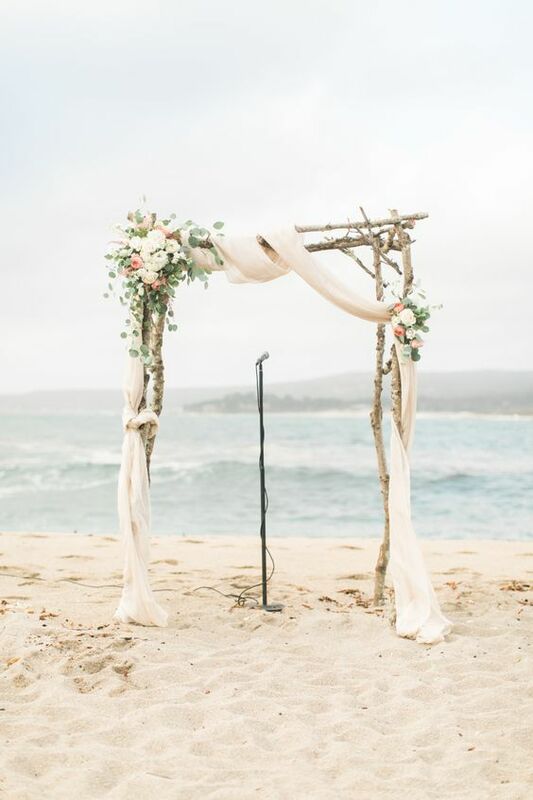 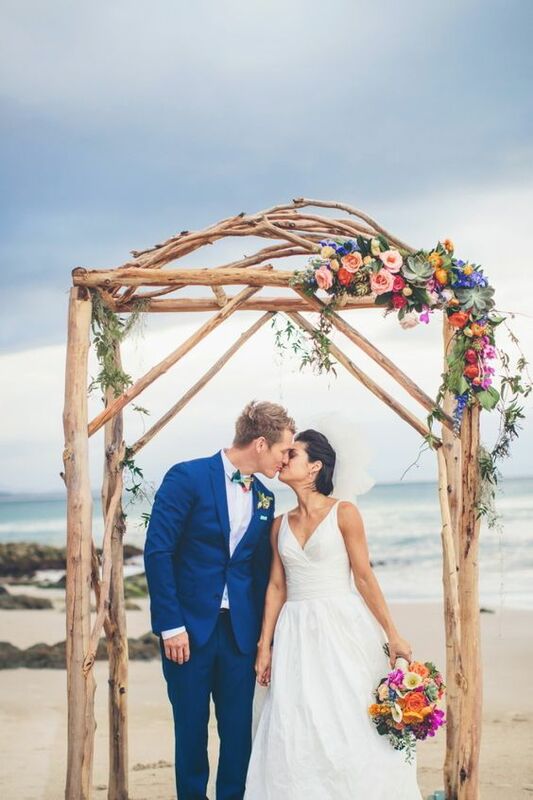 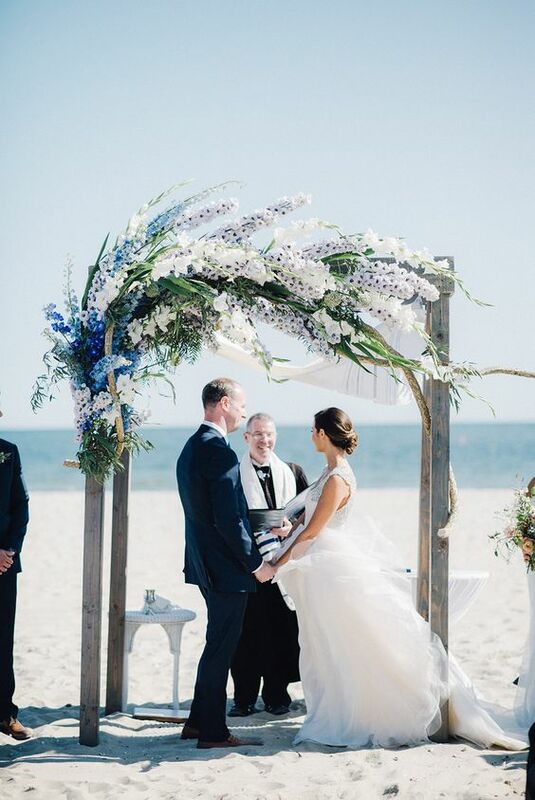 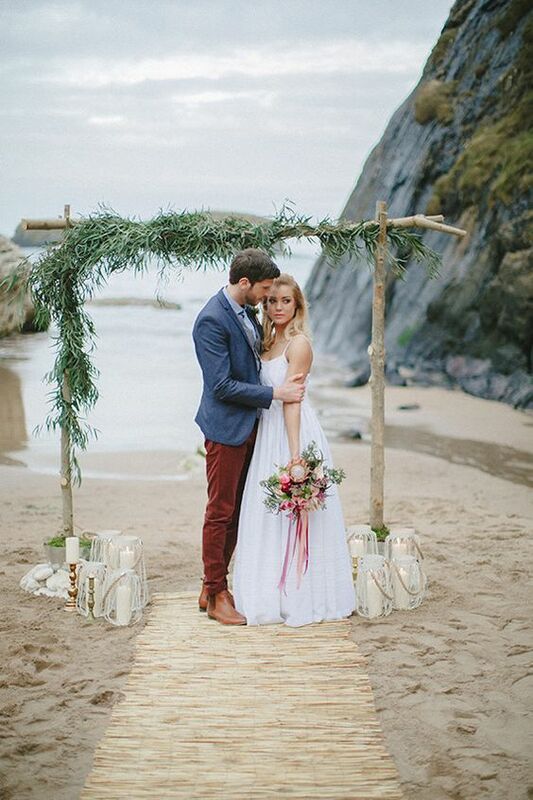 Beach wedding arches or altars are usually made of wood – these can be branches, driftwood or any other type of wood that fits your wedding style. 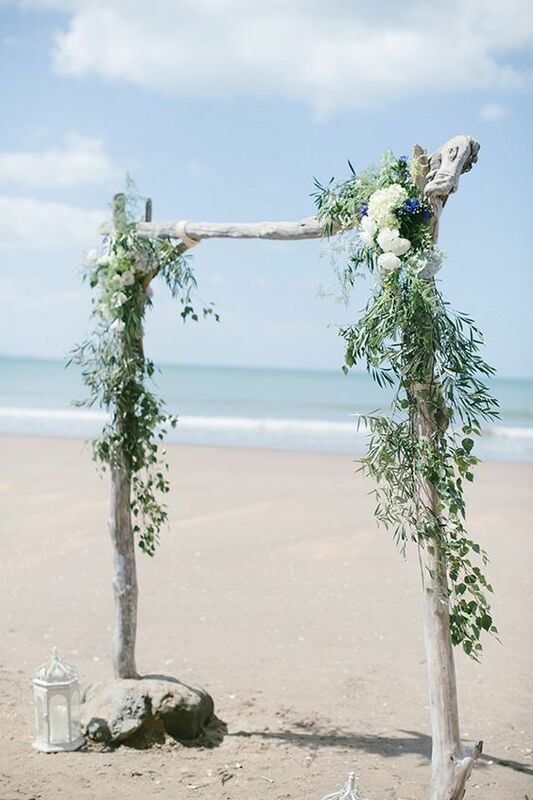 Then you may add blooms that you’ve used for wedding decor, greenery is also welcome to create a cool combo. 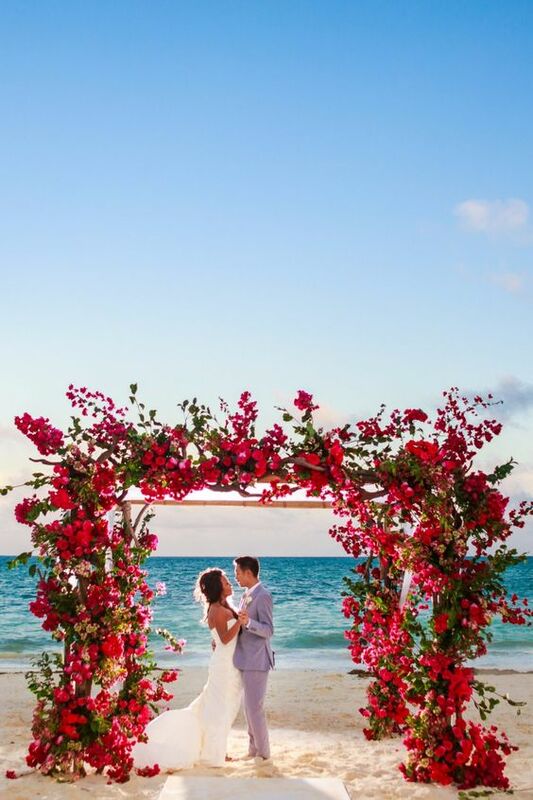 The wedding arch can be fully decorated with lush blooms of the color that you like – anything from white to fuchsia is welcome; such an arch looks very refined and bold,ideal for a glam wedding. 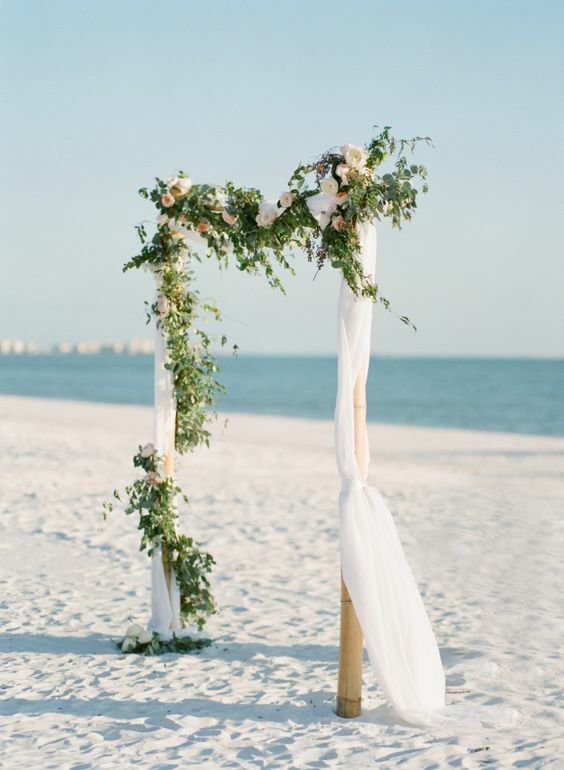 Airy and light fabric will make the arch more breezy and chic but you may go for an arch without it. 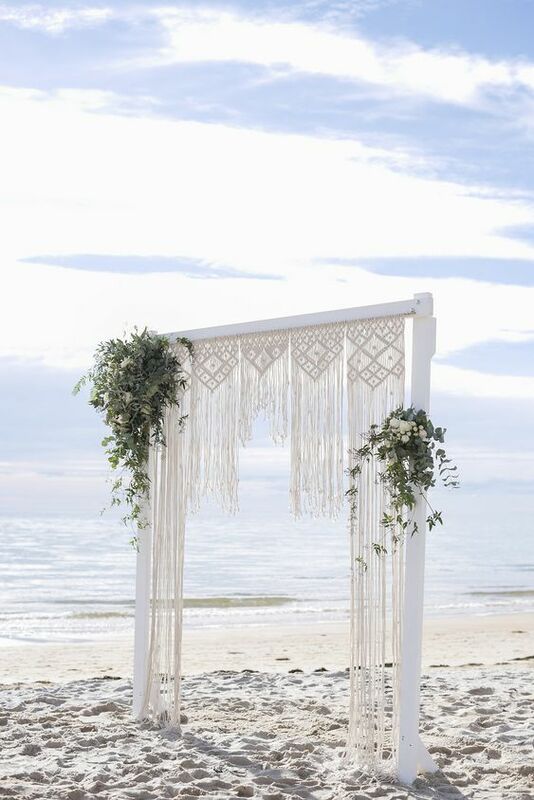 If it’s a boho wedding, why not decorate your arch with macramé or add Moroccan lanterns and candle holders hanging? 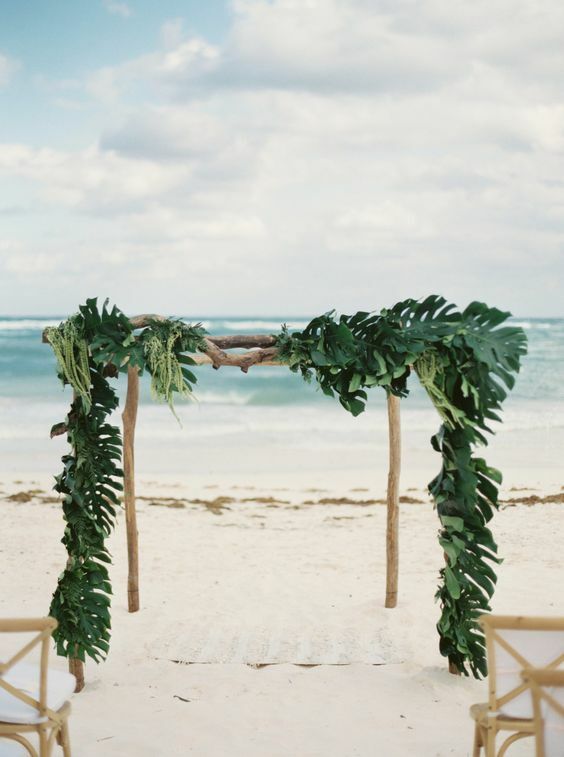 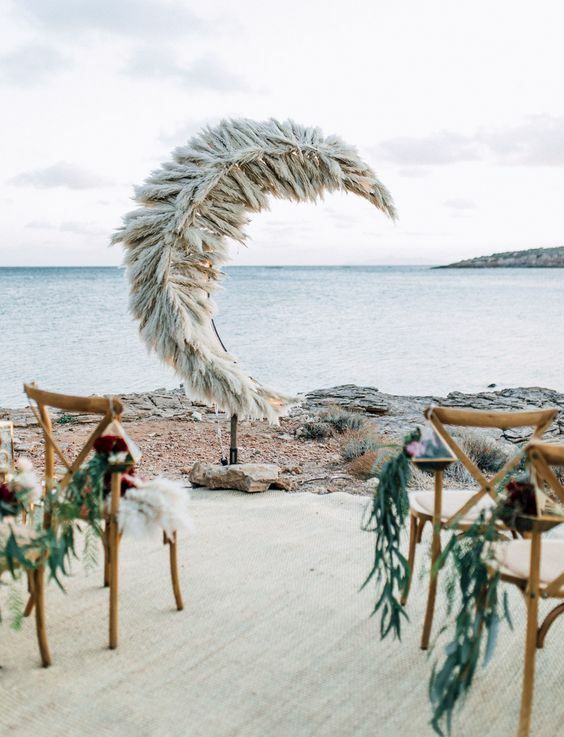 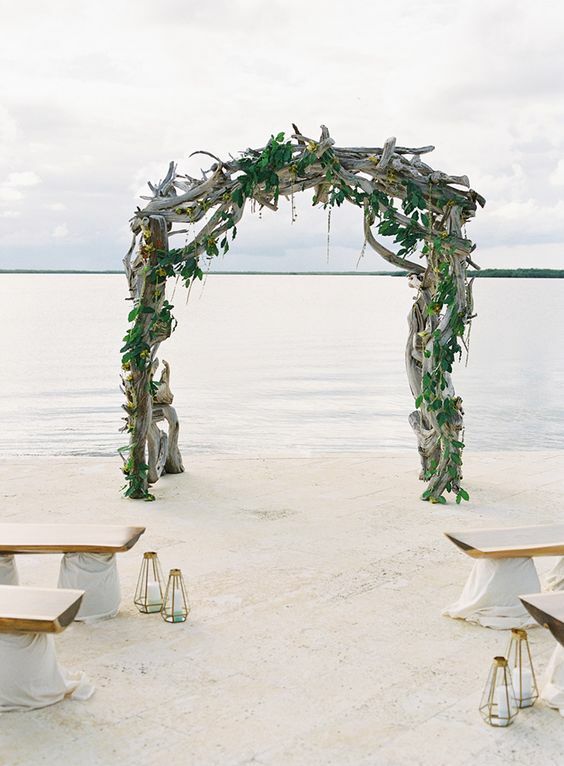 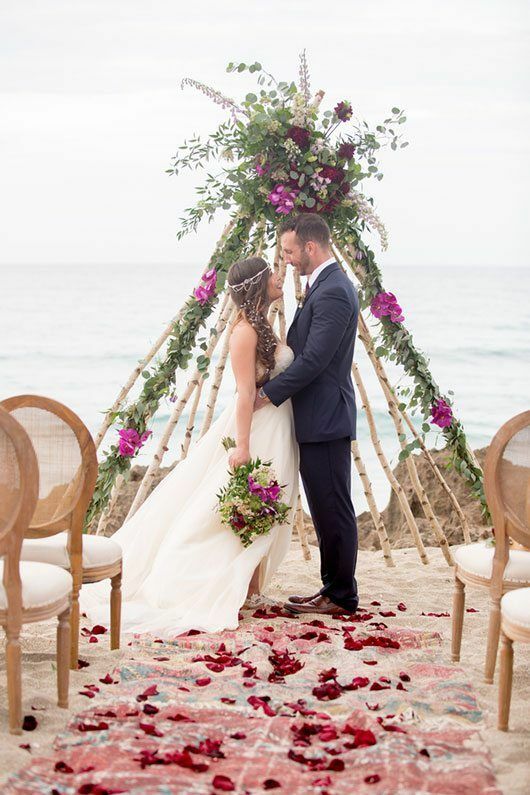 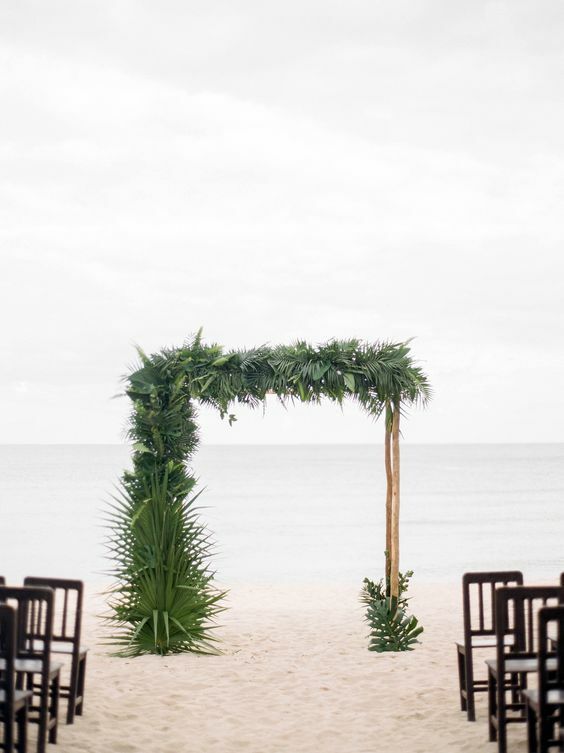 If it’s a tropical wedding, go for palm leaf decor and greenery or try a driftwood arch interwined with fresh greenery: no bloom decor is very popular now and your arch will be very trendy. 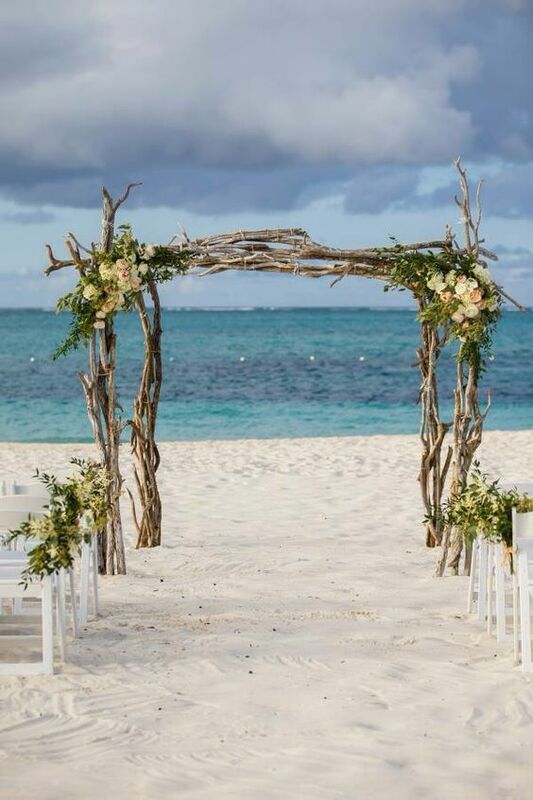 Place some candle lanterns at the base of the arch to illuminate the space with romantic candle light. 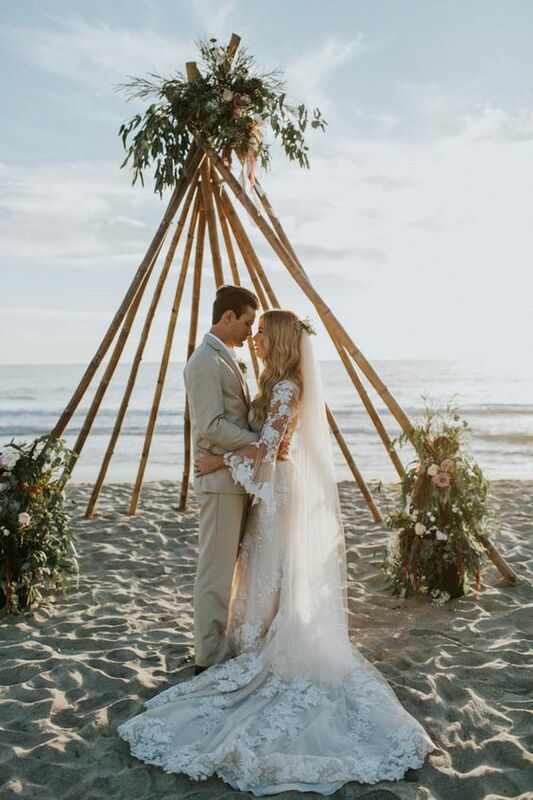 If you are looking for something very special, try a trendy option – a triangle or a teepee-like wedding altar decorated with greenery and blooms, it’s an ideal piece for a boho wedding. 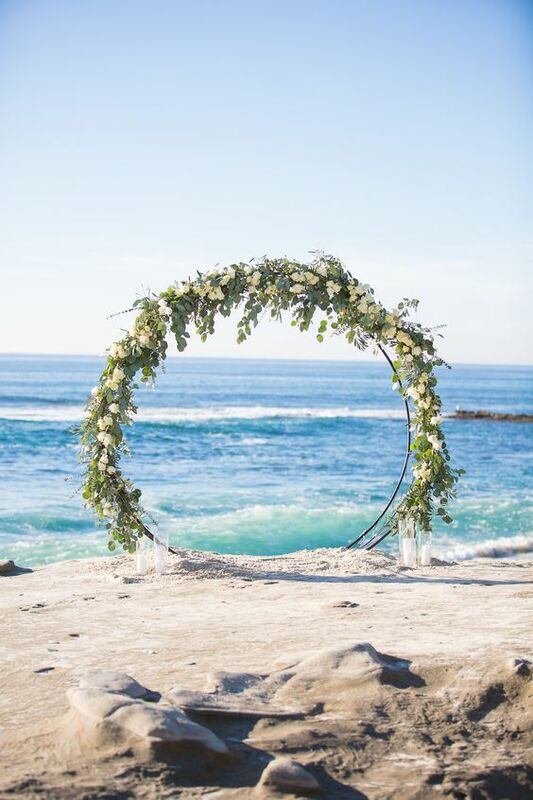 Another hot trend is an oversized circle wedding arch decorated with flowers and greenery, it looks very spectacular. 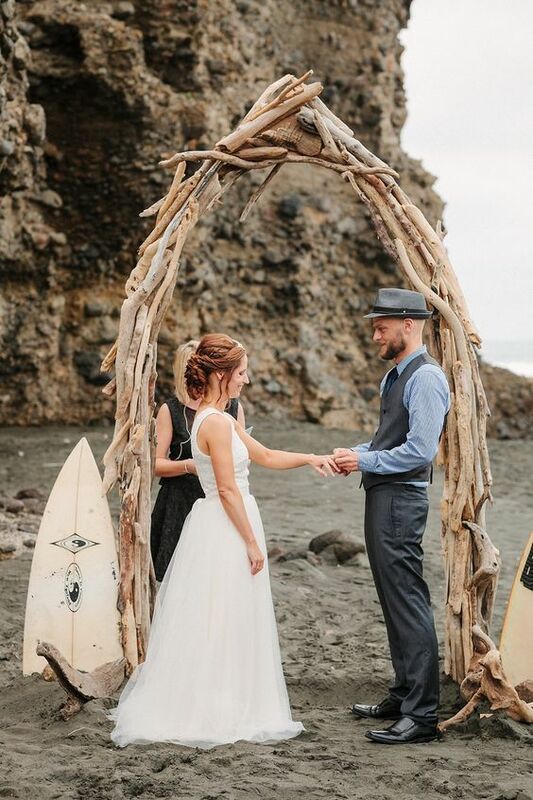 If you two love surfing, why not give a driftwood arch a shape of a surf? 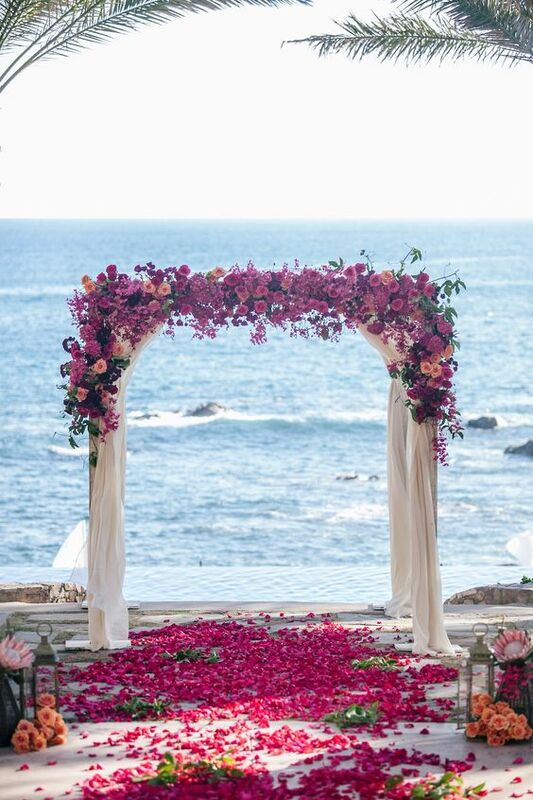 Looks wow! 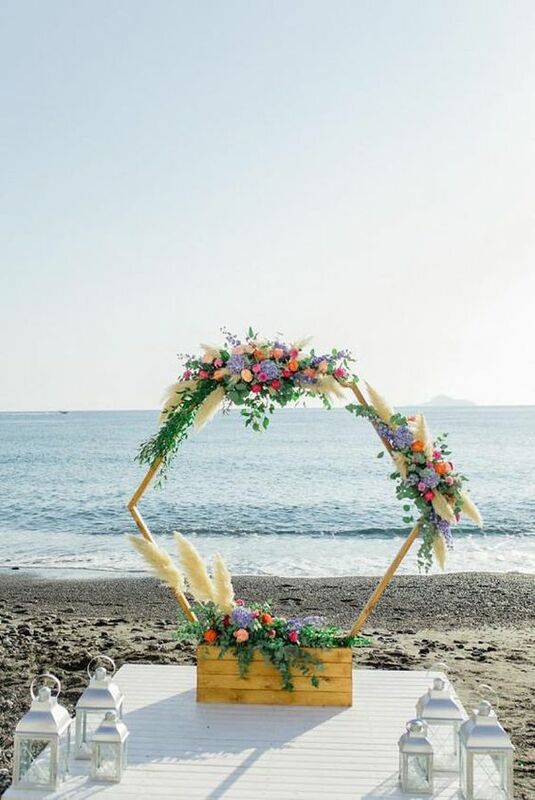 There are some other cool ideas like a hexagon arch, a half moon pampas grass altar, a modern backdrop with greenery and blooms and much more – choose what you like!